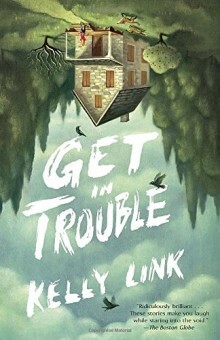 This book was read by Meredith Lewis, the [mostly] Orange County Campus Librarian, and is available for checkout at the Orange County Campus Library. I read a lot of book lists and this one popped up sometime last year. Plot-wise, I like museums and true crime, and a museum heist was immediately something interesting to me. I don’t fly fish, but you don’t need to in order to enjoy this book. 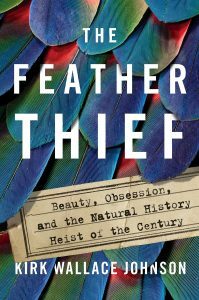 Really, The Feather Thief is kind of about a lot of things– recovering after personal and professional disappointment, Victorian fly fishing lures, the role of museums and museum specimens in the historical record and preservation, the ecologically destructive power of fashion, and what can happen to an insular community when something illegal impacts them. At its core, it’s about a young man who, realizing he has an opportunity to make some money in a niche community that he is a member of, breaks into a natural history museum, steals a lot of rare bird carcasses, and then sells the feathers. He gets caught (not really a spoiler). A portion of the fly fishing community reacts (or refuses to acknowledge their participation). People justify the bad behavior as not so bad and ignore the parts that don’t impact them directly. Reflection ensues. Did it remind you of any other book or a movie? It reminded me a little of Bad Blood by John Carreyrou (available through the OCC Library) and there’s this movie on Amazon Prime I watched a while ago about a man who forges (copies?) famous paintings and then donates them to art museums called Art & Craft. Both of them examine how people justify or try to hide behaviors that are bad or ethically just not right, but in different ways. I guess that’s a topic that interests me. Who knew? 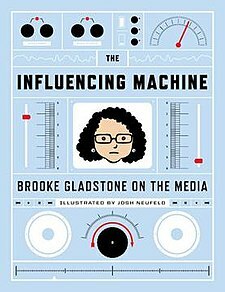 Anyone ready to be surprised by an engaging nonfiction book that may not perfectly align with their own interests. Anyone looking to fill their social science checkbox in the Read Great Things 2019 Challenge. People who like true crime, but want to avoid the murdery ones. Also, people who like to tie their own fly fishing lures. This book talks your talk, unless you’re sensitive about buying authentic feathers for Victorian-era lures– then you may feel exceptionally called out. I was drawn in by the cover art at first. The reviews on the back of the dust jacket also made the stories sound interesting to me. One of my favorite authors, Michael Chabon, has a blurb on the back of the book praising Marcus’s The Flame Alphabet (which I haven’t read). This “themed” collection is of short stories that feature young-to-middle-aged men in crisis. Otherwise, the stories are not related. 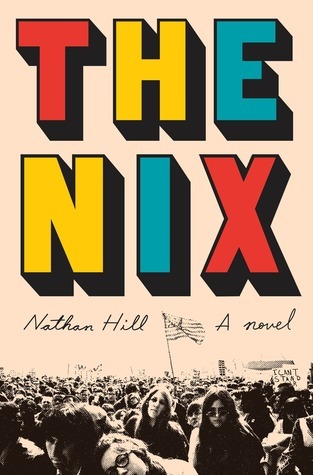 A divorcé struggles to keep his job and resolve joint custody issues with his ex-wife; a struggling professor teaches a creative writing class aboard a cruise ship; a young man with a mysterious illness seeks treatment in Germany and examines his relationships with his girlfriend, father and a stranger he meets in a hostel; a man worries about his family during a routine evacuation drill in his community; et cetera. Many of the stories take place in alternate realities: a world in which one can choose to be a baby for one’s whole life, for example. I did not like reading this book. I was motivated to finish it solely to write a thoughtful review. I found a lot of the book to be interesting, but in many of the stories I felt like Marcus was playing with language for the sole purpose of doing so. 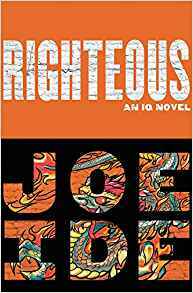 Ranging into pure experimental fiction, this book was often either beyond my understanding or it felt like I was being manipulated into feeling stupid for not understanding what is going on, only because the author omitted details I felt would have improved my access to the book. Another collection of experimental fiction is David Foster Wallace’s Oblivion. The freedom with which Marcus uses language and imagery reminds me a little bit of e.e. cummings’s poetry as well. 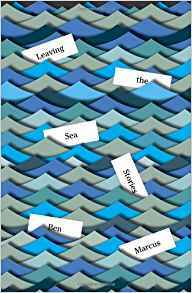 In spite of my frustrations with the most experimental stories, this book is memorable and left me wishing I could write fiction with such imagination and confidence in bending language to my will. Fans and writers of experimental fiction will appreciate this book. Someone who needs a creative spark and doesn’t mind reading some dystopian fiction might find use in this book. Even though I don’t keep one myself, a reading or writing journal would be a valuable companion. 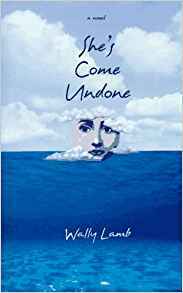 She’s Come Undone has been on my to-read list and I saw it on the library’s display of books for Mental Health Awareness Month (May). 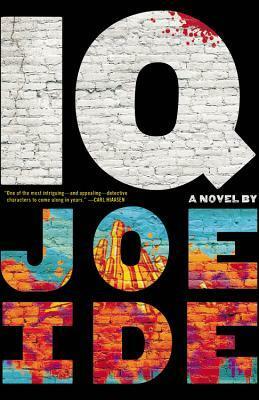 I enjoyed reading the first book in this series, IQ. This book was read by Meredith Lewis, the Orange County Campus librarian. This book is about genetic engineering and its potential, ideas on how to help stop the greenhouse gases trapped in the Siberian permafrost, and MAMMOTHS. Though this book tells the story of the convergence of the Pleistocene Park in Siberia and Harvard University’s Woolly Mammoth Revival Project, it brings up some really interesting questions about science, specifically the field of genetics: Just because we can [maybe, probably?] do something, should we do it, and how do we weigh the consequences. As the author says after a particularly interesting misunderstanding between the scientists and the press, “[G]enetics [i]s a powerful tool, but also an ethical minefield” (157). Well, woolly mammoths are cool. I started another book about mammoths last year and never finished it* and then this book came along and here we are. The obvious connection is Jurassic Park, either the book or one of the movies (available in the Durham Tech Library), right? The book mentions it and I even learned that the reason that it isn’t possible to extract dinosaur DNA from something like amber is that over time DNA degrades and no longer actually exists in that thing that is preserved in the amber. Side note: Woolly actually has been optioned for a movie. So that’s probably happening next year or so. Prepare yourself. A healthy sense of skepticism, all accompanied with a sense of fascination with the world of science and its potential. 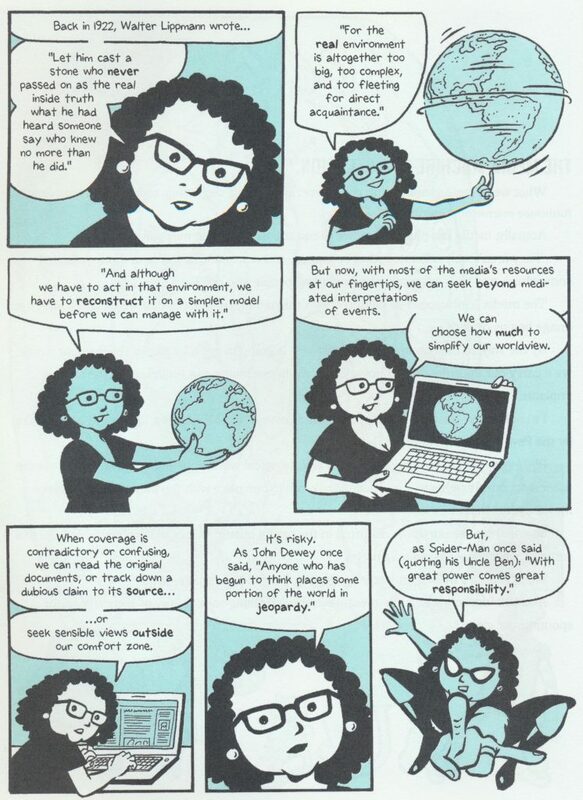 I heard an interview with the author on public radio several months ago. He sounded interesting. I hadn’t read any detective fiction in a while. I am participating in Book Riot’s 2018 Read Harder Challenge. 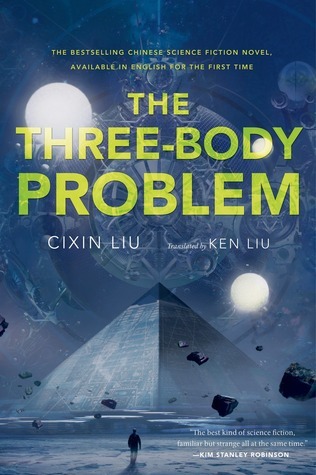 Having read The Three-Body Problem allows me to check off the category “A book of genre fiction in translation.” Also, the book has been on display on the Special Collections area of the main campus library and I’ve walked by it many times. The cover jumped out at me; this qualifies it for the library’s Read Great Things Challenge, category: A book you chose for the cover.